The additiv Technical Lead Engineer (TLE) is responsible for owning the overall design and technology of assigned technical projects as well as recommending the best technology approach for solutions based on clients’ business needs. As a TLE, you are the liaison between the product manager and the software engineers in the development teams. You will lead a team of expert engineers to build high quality software with a strong focus on quality and usability in our Digital Finance-as-a-Service (DFaaS) offering. This is all based on our standard product use which is DFS 4.0 (Digital Finance Suite). You will undertake technical challenges, make technical decisions and support the team, such that everyone executes to their best of their abilities. You will focus on user experience, user journey and backend capability within our product offering, i.e. a full stack approach. Ideally, the TLE is engaged in best practice development initiatives, provides thoughtful leadership, and familiarity with cloud solutions that support our DFaaS strategy. 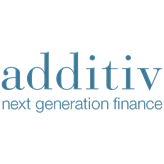 Additiv’s 4th generation Digital Finance Software-as-a-Service allows financial institutions to deploy class-leading client advisory, servicing and expert tools in wealth and asset management. Additiv AG is headquartered out of Zurich with offices in Singapore, Hong Kong and Germany and with main development centers in Romania and Ukraine. Overall more than 120 employees are working globally for additiv. At additiv, we build the digital future of the financial industry. At additiv, accountability, cooperation and an explorative mind-set are shared fundamental values. We are professionals. We find solutions. We work hard. We laugh and have fun. We live a learning culture. We make mistakes and we learn from them. Each indivuals professional and personal development is important to us. Want to get notified about new jobs at additiv AG?